Special TRIP TO SEKOTONG DEPARTURE ON REQUEST !!! Instructors & Dive masters At DSM Dive: Lombok & Gili Trawangan, local and also international expert Instructors and Divemasters offer a wealth of local diving experience around Gili Trawangan, Gili Air & Gili Meno, ensuring that dive courses and fun dives are conducted in a safe, professional and enjoyable manner. Two traditional diving boats “Samudra” and “Fiki”. 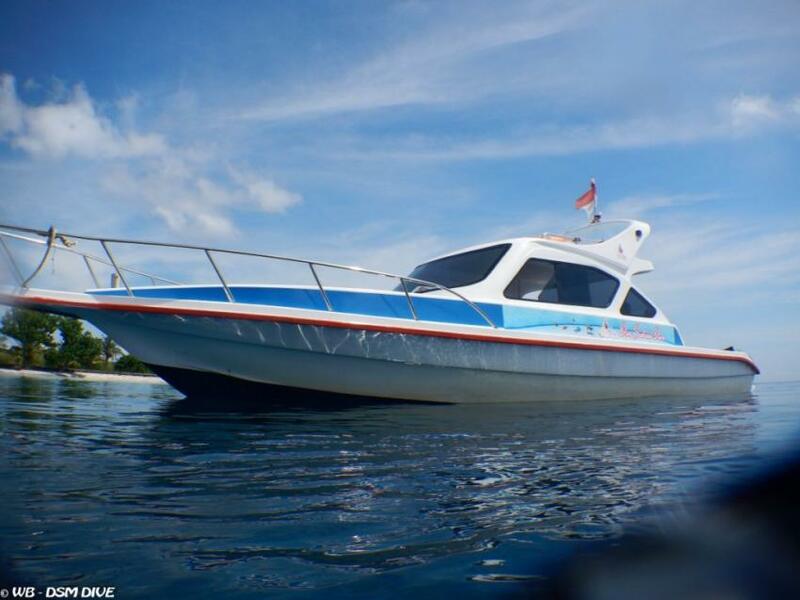 “Fiki” is first DSM Dive boat, “Samudra” is the second. Both of them are built in fiber and in traditional style with bamboo to keep the balance. Fiki has a capacity for 20 divers and 2*40 hp and Samudras capasity - 30 divers and 2*85 hp. During the high season and for groups boats are arranged by course and level. Fiki and Samudra are used to go to the Gili islands. On Gili Trawangan no transfer is needed because all is in walking distance.